VA Secretary David Shulkin speaks to reporters at a White House press conference on May 31, 2017. In an editorial in USA Today on July 24, Shulkin promised that planned reforms at the department won't mean privatization of veterans care. WASHINGTON — Nearly half a year into his job, Veterans Affairs Secretary David Shulkin is still trying to convince critics that his efforts to improve the department won’t lead to privatizing care and support programs for veterans. Those kinds of assertions, and plans to expand care programs that direct health care funds to private physicians outside VA, have raised alarms in the veterans community about the potential for eroding or erasing existing department services. 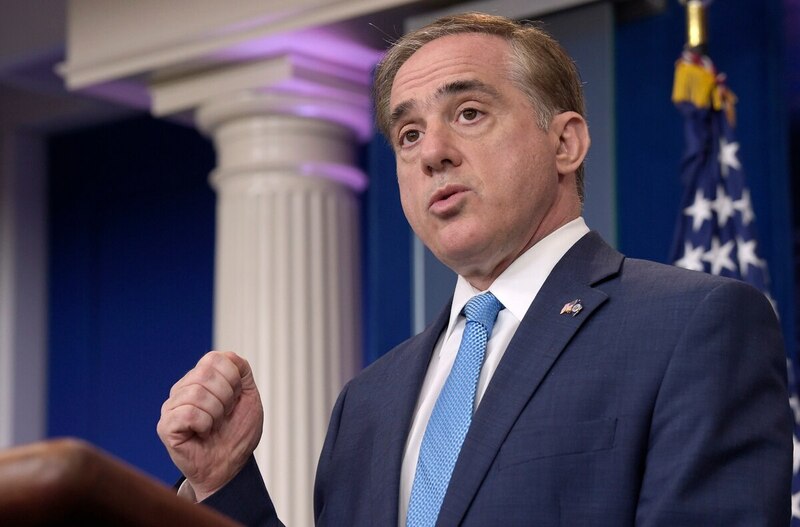 Shulkin’s piece was released just hours before a scheduled House vote on legislation that would fund the controversial VA Choice program for another six months at a cost of $2 billion, through a variety of program trims and reauthorized fees. A coalition of eight veterans groups — including the Veterans of Foreign Wars, AMVETS and Iraq and Afghanistan Veterans of America — spend the weekend lobbying lawmakers to dump the plan, arguing that it unfairly outsources funding that should be dedicated to improving internal programs. The Choice program was established by Congress in 2014 as a way to more quickly aid veterans facing long wait times or significant travel hardships. Qualified veterans can use the program to pay for medical appointments at private-care clinics. Eight major veterans' organizations on Saturday urged Congress to provide emergency money to the Department of Veterans Affairs without cutting other VA programs as the House moved quickly to address a budget shortfall that threatened medical care for thousands of patients. The program is one of multiple outside care offerings administered by VA, which cover about one-third of the appointments scheduled by department health officials each year. That outside care increase does not include the new $2 billion boost that House lawmakers will vote on Monday afternoon. Without a funding fix for the program before the start of August, VA has warned that thousands of veterans could see their care plans disrupted, and thousands of third-party administrators that have helped streamline the program will be cut off from the department. Critics of the House plan have not offered a new funding fix, but in the past have preferred that lawmakers not require VA-based offsets to pay for services ultimately outside full VA control. Shulkin said he sympathized with their concerns. “They don’t want to lose all that VA has to offer,” he wrote. “I don’t either — and we won’t. Veterans advocates are unhappy with the spending plans trims for veterans benefits and boosts to the controversial Choice program. Trump prompted a host of privatization concerns during his transition into the White House, vowing massive reforms at VA and promising to dramatically increase private-sector options for veterans. The rhetoric was embraced by conservative groups and decried by liberals, but Trump has largely left the implementation of those issues to Shulkin so far. Senate Republicans have offered support for the House plan, but Senate Democrats so far have remained wary of the details. That leaves the measure with an uncertain future even if House lawmakers pass it on Monday.